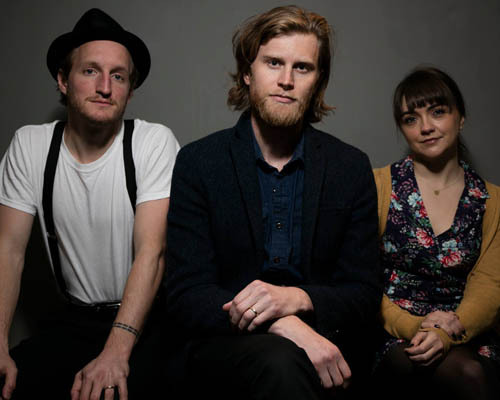 The Lumineers walk that line with an unerring gift for timeless melodies and soul-stirring lyrics. The first thing they did in Denver was place a Craigslist ad for a cellist, and the first person to respond was Neyla Pekarek, a classically trained Denver native. As a trio, they began playing at the Meadowlark, a gritty basement club where the city’s most talented songwriters gathered every Tuesday for an open mic and dollar PBRs. Neyla softened Wes and Jer’s rough edges while expanding her skills to mandolin and piano. And so The Lumineers sound took shape; an amalgam ofheart-swelling stomp-and-clap acoustic rock, classic pop, and front-porch folk.